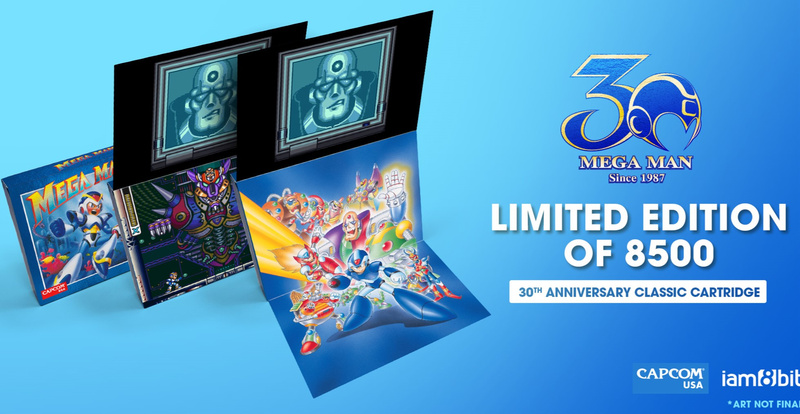 With the Mega Man 30th anniversary now upon us, Capcom is pulling out all the stops to celebrate. Not only have we got Mega Man 11 coming alongside the two Legacy Collections, we've also got these limited edition cartridges for Mega Man 2 and Mega Man X. They even work on your old NTSC NES/SNES! Both packages are limited to 8,500 copies each and come with a premium box, instruction booklet, and some ultra-collectible retro art on the packaging. Oh, and one in eight copies randomly chosen will get a glow in the dark blue cartridge instead. Pre-orders are now live on the iam8bit's official store, so you log in and grab yours for $100 each before they disappear like proverbial hotcakes. Oh man I need those... Too bad I'll probably never own one, haha. Scalpers are going to love this. They cost about as much as a normal cartridge. No thank you I got my MMLC and will be getting MMX Collection here soon enough. The package is cool but I think I can't possibly justify paying a hundred for a single NES game. If I had an extra $200 laying around I'd be all over this! A HUNDRED dollars? You can buy on amazon megaman 2 with box and manual for $90. If you just want the cart it's $20. Megaman X is similar that's the easy one to go. It's X2 and X3 that are rare. Good grief. Here it is, the 30th anniversary of Mega Man (1), and instead, Mega Man 2 and X get repros. For $100 each. Just a heads up to anyone interested - pretty sure these don't work in a Retron, just the original hardware (SNES, NES) or an NT (the chips in those run as if they were a NES or SNES). Retrons and other similar devices actually have to be programmed to recognize individual games from an internal game list in order to run the individual emulations - so repros don't work in them. @Gauchorino They get a pass on including 2 since that's like a second pass on the first version. The 80s version of Splatoon2 to your Splatoon. Wish it was 3 though. I'll spend $100 on something useful instead. @Dang69 I think you might be mistaken. These aren't multicarts. They're just that one game. I'd rather just buy a boxed copy of the original game in question. MM2 is just under that price, MMX is just over it. @SmaMan [Speaking on Retrons] It's not a multicarts issue, it's that THESE versions didn't exist way back, so the games won't be recognized...unless the roms are exactly the same. Like, you know how people make new NES and SNES games now that run on original hardware? They won't run on a Retron because the game needs to be listed inside the Retron database. NTs don't have that problem - because of how the chips work inside of them. The chips are programmed, versus [Retron] software that merely emulates original hardware in cooperation with the individual rom files. Those NT chips believe they are a SNES and a NES, and also are programmed to simulate added on sound cards and FX stuff that was found inside the physical carts. 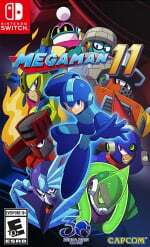 @Gauchorino If it makes you feel better Mega Man 1 already got a remake for the PSP called Mega Man: Power Up so it make sense for them to re-release Mega Man 2 this time. My only disappointment is that they choose Mega Man X1 instead of Mega Man X2 cause we already got multiple versions of X1 already. Too much money IMO. I'll get the MMX collection instead. Capcom has a really weird decision-making flowchart when it comes to (re-re-re-re-RE-) releasing games on physical cartridges, and making new games. Physical NES cartridges of a game everyone remotely interested already played on at least one of many devices? No problem. Physical Switch RE:rev re-release? Not in Europe, only one of both games elsewhere, in a box that says "collection". Cluttery cartridges? No thanks. And several hours later, NOT sold out. So about that "hotcake" theory. Hmmmm. @ALinkttPresent They don't need to be, as the NES/SNES patents are up. They're licensed by Capcom to use their IP though. $100 each for some old games that I already own? No thanks. Too bad I'll never get them. They should put Legacy Collection 2 and Legacy X Collection 2 on game cards instead. Boycott anything Mega Man until Capcom fixes their Switch physical releases! @retro_player_22 I'd take a re-release of Powered Up, now that you mention it. @Dang69 If their recent Street Fighter anniversary re-release carts are anything to go by, then they are the exact same game. I don't think they went through the trouble of compiling a new rom, especially since Capcom's tools they used for making those games no longer work on new computers. Still, even if they were to make changes to it for whatever reason, they would be testing it on original hardware. Therefore, the FPGA clones should be just fine. The emulator boxes, maybe not. I was very tempted at first as these are my favourite MegaMan games, but £150 for what are essentially just repros is too much. Now if it was the Japanese versions with the nicer box art I might have been unable to resist...! @nab1 I was wondering the same thing, but I guess so. That Street Fighter cart apparently had some modern-reproduced components graded for lower voltages than the SNES would pump through them. @ottospooky I always thought Mega Man 4 is the best game on the NES. Mega Man 2 is kinda fourth on the list. Its a good game, but I think Mega Man 3 and even Mega Man 1 are more fun then it. Its a good game to be sure, but grossly overrated. but not in Pal format. No one has mentioned the Retail Incentive Variant special Mega Man 2 homage cover of Mega Man Mastermix #2 by the way. 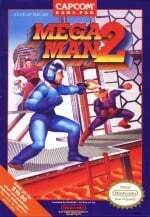 @Gauchorino PFFF Mega Man 2 is just a refined version of the Mega Man 1 experience, and think I could say in general that MOST people would prefer a limited edition MM2 over MM1. Personally I would buy a MM1 limited edition over 2, since I have: MM 2 on my NES Classic, 3ds collection, upcoming Switch collection and have owned an original MM2 cart for years. 1 and 5 are the only ones I've never had a physical copy of. But I'm definitely in the minority of that want. @ottospooky nostalgia. Mm1 was terrible and 2 was so much better. My fav is 3 as well, but i wouldn’t go and say that 2 was bad. Just not as good as 3. Its the true starting point for the series. Smb3 I would say the same. As good as smb1-2 may be, smb3 is where the series really excelled. Concepts from it are present in almost every mario game since then. I have only played mmx1 and I think 3 so I can’t really comment on how good the rest of mmx series is. Mega Man X is my favorite game of all time. It's something I still regularly play since I first slapped it into my SNES back in 1994. Though as tempting as this is I think I'll have to pass, $100 is way too much for something I'm never going to take out of the box and use. I've never understood the appeal of collector's editions, especially not these. They're not even available in PAL format, and they cost $100 each. I would be very surprised if the whole Nintendo Life staff wanted these like the article wants me to believe. So they expect me to pay $100 for a repro while the original MegaMan X SNES (US version because cheaper) is around $150? Would prefer to buy the original one then, this should be $50 at most for europeans that would be way more than $100 considering the fees. What a very cool, original idea this random glow in the dark stuff! More power to anyone that buys this. I still own both original carts. Why would I need this? I love the series but to a point. If these had more on the cartridge to make it unique besides the shell, it would be easier to swallow. The packaging is what has to sell this for a collector with a FOMO attitude. Agree with many. Rather have original game, manual, box for cheaper than those. They are cool looking granted. Multi cart 1-9, then we will talk. @Yorumi Mega Man X1 was more expensive than it should be last time I was paying attention to SNES prices a couple years ago. It was at like $30 loose, making one of the "expensive common games". Similar to Castlevania IV, another in the category, both even had Majesco reprints. Though it's certainly the Cx4 chip in X2 and X3 that probably kept them from getting reprints back in the day, let alone now when it would be too expensive to even think about doing a collector print run. Unless they could come up with an emulation replacement. Probably the best games in their respective subseries. Those two changed everything about action platformers. That's a pretty cool thing for them to do. It's a hard no for me though as I already own the original cartridges for both of these. If I were to spend $100 us on a cart it wouldn't be a repro. This is a blatant gouge of fans that gives nothing back. Now they are producing cartridges and selling them like loot boxes, you can randomly get the more desirable glow in the dark color! Ugh. Last couple times Capcom made a deal like this with iam8bit, I heard the carts could set fire to a real SNES if played on it. Not to mention that SFII isn't exactly a rare cart either. I also have both games (as well as SFII and Turbo) on their original carts. I also have Rockman X2. As much as I want them I already have both of the originals cib. I can almost hear the orgasms scalpers are having around the world. @KingMike yeah I think I got my copy of X1 for like $20.imcould see paying $50 for these carts but not $100. Specially when you can get a complete MM 2 for less. I'm just not a big fan of repros. Even official ones like these. On MM2, it's probably the one I play the most. I'm not sure it's the best, but it's the most accessible game of the original series. The preferred weapons mostly make sense and if you play on normal the bosses are pretty easy. The levels aren't that long either. It's a game I can breeze through in about 45 minutes. Also Metal Blade is such an overpowered weapon that the game is even easier if you grab that first. Do you mean item 1? Item 1 is the floating platforms which I remember a kind of tricky area with that. Item 2 is the jet. Do you have it on VC? If you do, don't be afraid to spam the save states until you get the timing down. Legacy collection doesn't make sense to me. Legacy X collection makes a little more sense because X5, X6 were PS1 disc games and X7, X8 were PS2 disc games. So an 8 GB cartridge isn't likely to be enough. Plus X-X4 are the best by far anyways. @cleveland124 If 8 GB isn't enough space, there's always the 16 GB option. Even if they had to charge an extra $10, it would be worth it to have it all on physical. The X collection on PS4 and XBone come with TWO discs, why couldn't they include 2 Switch cards? It's such BS. @Dang69 "Mega Man 2 is just a refined version of the Mega Man 1 experience"
Please elaborate in as much detail as possible. I actually still have my origina working SNES and my original working cartridge of Megaman X from several decades ago, so I'm good on that front. Will definitely get the Switch collection, though! I just pre-ordered Mega Man 2 - still have the original cartridge and my old system hooked up on an old CRT! Hopefully I will geht the dark blue cartridge. Honestly, so what. How about a new Legends or X game. For 100 bucks? They can keep them. @NintendoPete Probably likely some of them will be listed on ebay at exorbitant prices.